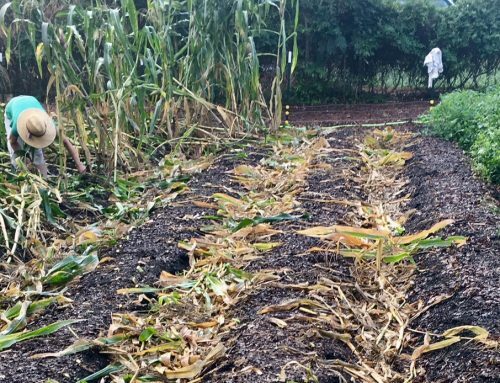 Despite only having a 1/3 acre garden, my wife and I have saved, bought, and been gifted enough seeds over the years to probably have a 100 acre farm. We didn’t intend to be seed hoarders, it just sort of happened. While many seed varieties can last for years or even decades properly stored indoors, we’ve come to realize that it might not be feasible to devote an entire room of our house to our personal seed library. What to do with all those extra seeds? We’re in the process of developing a small on-site organic farm for a new restaurant in our city (Oak Hill Cafe, coming summer 2018). We’ll certainly be putting a lot of our stashed seeds to work there over the years ahead. 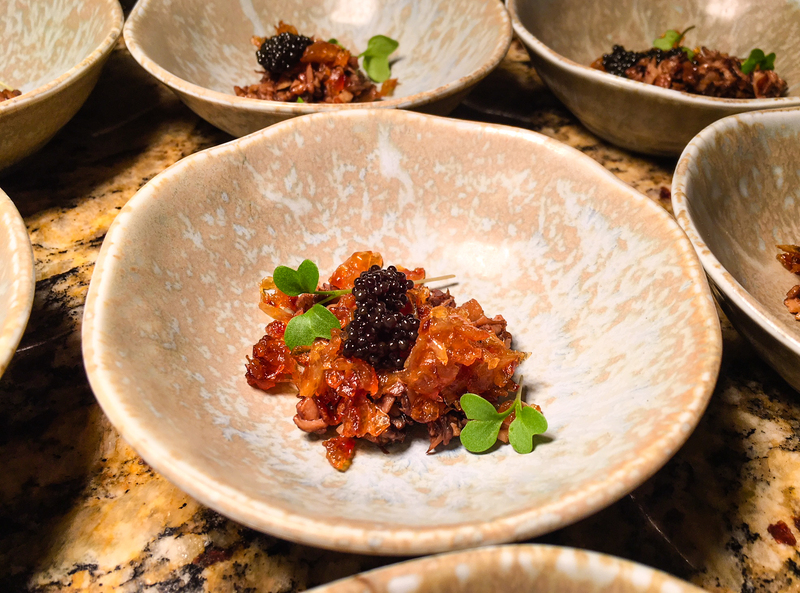 However, the restaurant’s chef, David Porras, asked us if we could have some “microgreens” available for him in time for a planned pop-up dinner intended to help spread the word about the restaurant. Chef David is the most talented chef we’ve ever met, having trained at Basque Culinary Center in San Sebastian, Spain before developing a following as a chef in his home country of Costa Rica. There was only about two weeks before the event, which gave us just enough time to have microgreens ready per his request. 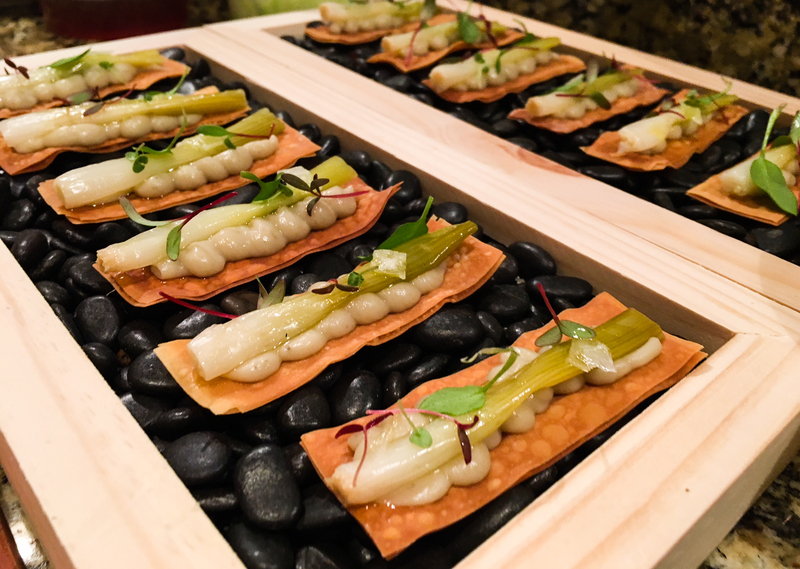 Radish microgreens atop one of Chef David Porras’s unknown but incredibly delicious concoctions. Once a seed germinates, it’s called a sprout. “Microgreen” is the term used to describe the growth stage in a plant’s life cycle AFTER sprouts but BEFORE baby greens. Generally, depending on the plant species, microgreens are harvested about 7-10 days after the seed has germinated. The primary reasons that people grow microgreens are for health and culinary reasons. It’s pretty exciting to see an amazing chef make one of his creations pop with microgreens you grew. Amaranth and beet microgreens on one of Chef David Porras’s appetizers. Beauty – Have you ever gone to a nice restaurant and been served an ugly plate of food? Probably not. There’s a reason for that: the way a meal is plated has a dramatic impact on how you perceive the quality of the food you’re eating. Garnishing a dish with microgreens can turn it from visually ordinary to visually extraordinary, adding sublime color, nuance, and texture. Flavor – Microgreens pack a surprising amount of taste for their small size, adding layers of complexity to each bite. Good news! Microgreens are very easy to grow. 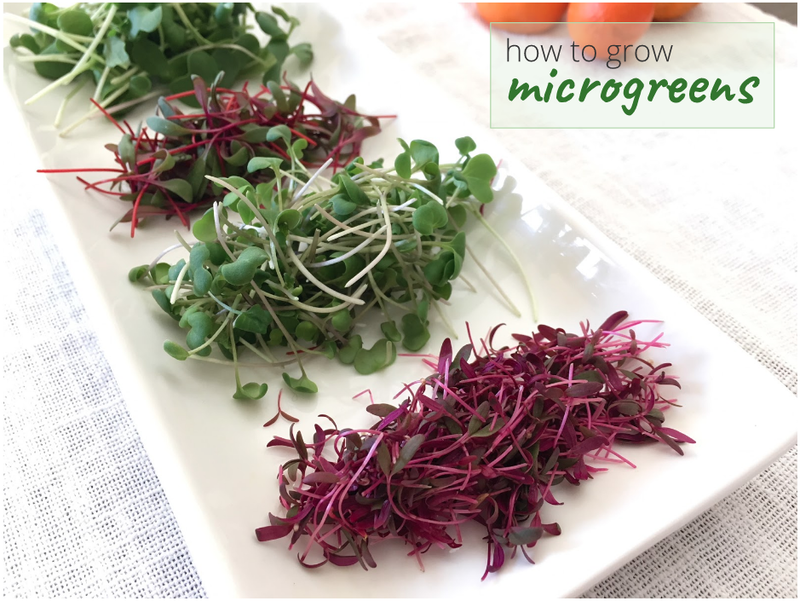 Just follow these basic steps and you can harvest your own microgreens in 7-14 days (depending on how fast the seeds germinate and what variety of plant you’re growing). Steps 1-6 below. 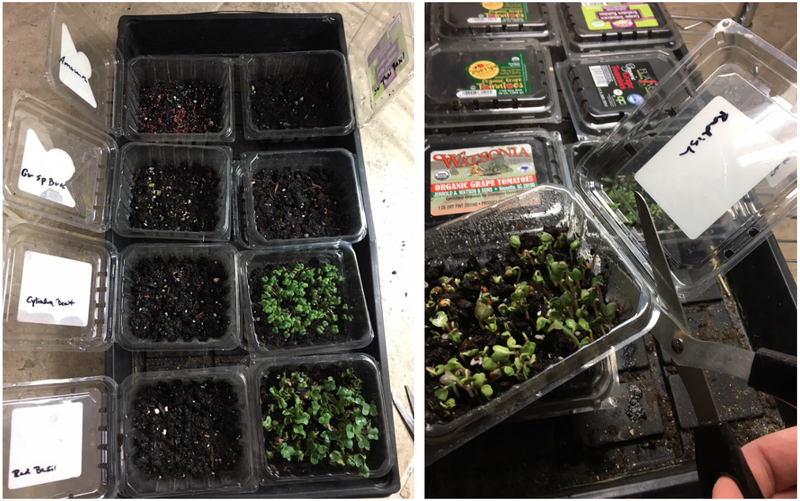 We used old clamshell containers from the grocery store to grow this round of microgreens. Each container held a different seed variety that we labeled on the lid. 1. Start with clean/sterilized trays or clamshell containers. If you want to grow a bunch of one variety of microgreen, use seed starting trays. 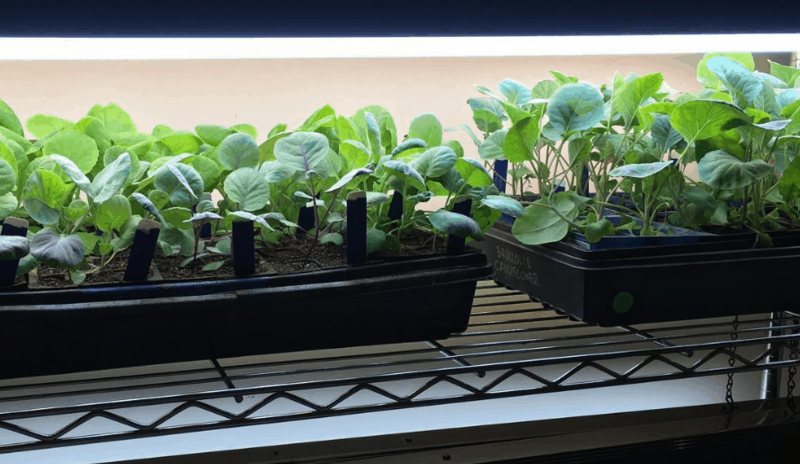 If you want to just grow a small amount, reused an old plastic clamshell container like the ones we used for this article. Either way, give them a good scrub in hot, soapy water before using. 2. 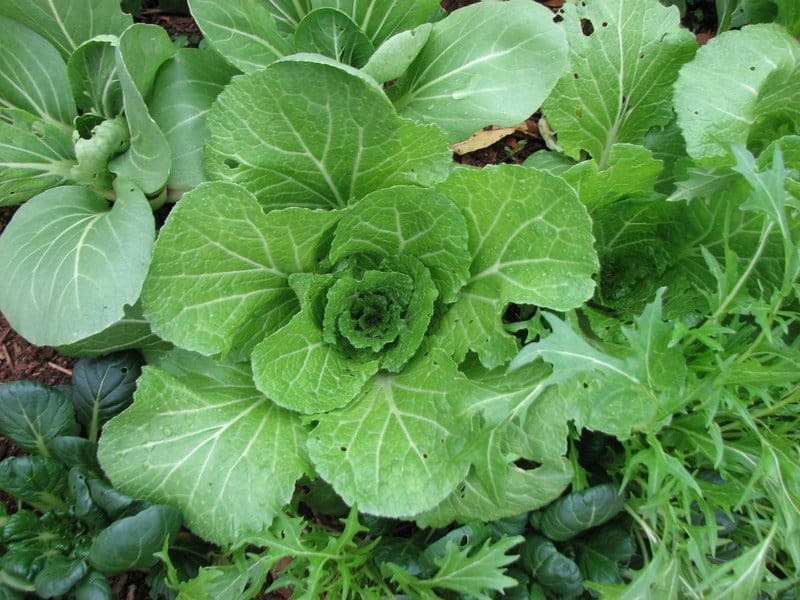 Add 2″ of damp organic potting soil or seed starting starting mix. You’re not growing microgreens like you would regular garden plants, so completely ignore standard spacing instructions. When growing microgreens, put the seeds in densely, but not piled on top of each other. Once the seeds are in, you do want to take note of the “sowing depth” instructions for the specific seed type. Some seeds may need to be buried 1/2″ deep and some might prefer to be surface sown. For seeds that need to be buried, put a layer of seed starting mix over the top of them to the appropriate depth. 5. Cover with vermiculite and lid. – Vermiculite is a common garden product made from silicate. It’s typically used to help soil hold onto nutrition and water (very helpful in potted plants and sandy soils). Since it helps hold water, it’s very helpful for seed starting as well. Put a thin layer of vermiculite over your microgreen seeds to help maintain seed moisture – this will speed up germination. It will also help keep your microgreens cleaner as they grow. (You can order vermiculite here.) Also, to help keep the seeds damp prior to germination, put a lid or cover over your containers. 6. Mist, air circulation, and patience. Place your unsprouted seeds in a temperature-controlled environment with good air circulation to prevent molding. Note that each different type of seed has differing: a) ideal germination temperatures, and b) days to germination. Don’t freak out when your radishes sprout within 24 hours but your basil and corn hasn’t shown any signs of life after three days. In fact, if you plan to start seeds regularly for your garden or for microgreens, you might want to get a heating mat for your warm weather varieties (amaranth, corn, basil, etc). Mist the soil surface once per day to maintain even moisture necessary for seed germination. Germination! Time to uncover them and get them into the light. 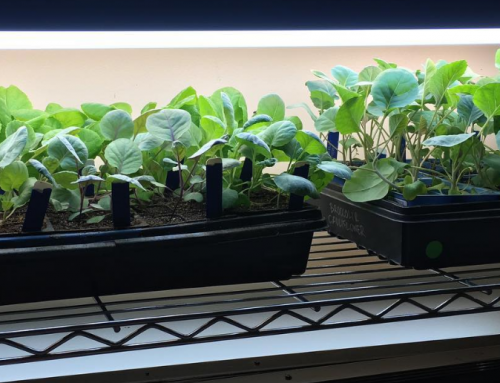 Since the open lids on the clamshell containers made them difficult to fit under our grow lights, we cut them off and stuck them underneath the corresponding variety so we could remember what each variety was. 7. Germination: uncover and provide adequate light and water. Woohoo! Your seeds have sprouted. 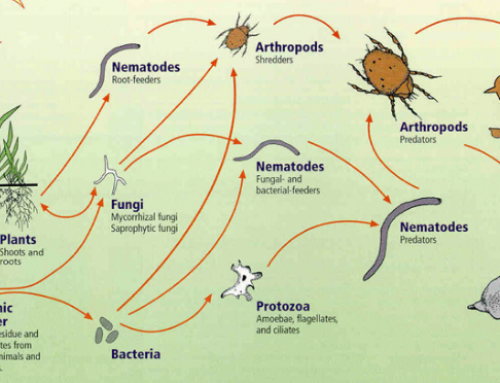 Uncover them to allow for better air flow which will prevent fungal diseases like damping off. Your seeds will require light soon after germination. 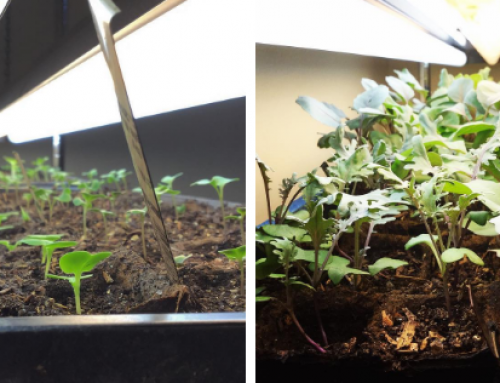 If you don’t have a DIY indoor grow light setup like we recommend, a really sunny south-facing window will suffice. Or if outdoor temperatures are in the range that’s ideal for the type of microgreen you’re growing, you can also grow them outdoors under the sun. The more mature plants are, the more water they require, so soon after germination you’ll want to switch from a mister to something that can provide more water. A great DIY trick here is to punch or drill small holes in the lid of a water or soda bottle. Microgreens at various stages in their growth cycle. We grew radishes, sprouting broccoli, broccoli raab, corn, two different beet varieties, amaranth, and two different basil varieties. By far the fastest to grow were the radishes. We moved the basil and corn on to a heat mat to get faster germination. Once your microgreens are ready to harvest (usually starting anywhere from 7-10+ days after germination), use scissors to cut them slightly above the soil surface. Put them in a colander and immediately give them a good rinse in cold water. Now they’re ready to eat! Not going to eat your microgreens right away? Wrap them in lightly dampened paper towels inside a zip lock bag in the veggie drawer of your fridge for long-term storage, and they’ll last for over a week. We hope this tip of the month will help you make good use of some of your extra seeds and take your homemade meals to the next level!